If you are a fan of Mexican folk music and want some Mariachi during your event, we at Azul Reception Hall can make these arrangements for you. We have built a network with some passionate musicians who have played in a number of events hosted by us. 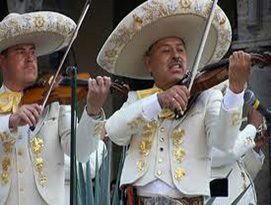 Mariachi music has become very popular with Americans who like it on different events. We bring in professional Mariachi musicians who would mesmerize your guests. These people have experience of playing at different events in front of large number of guests. They can set the mood of the event or blend their music with the mood.